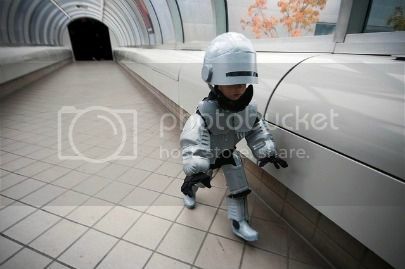 You must, must check out the full gallery of photos of Lil’ Robocop on the mean streets of Detroit. I went to the site as commanded. I love the pictures with the Detroit cops. Thanks for posting!